The Ise Grand Shrine (Ise-Jingū) is an important Shinto shrine complex in the city of Ise in southern Honshu, Japan. It has been designated a National Treasure (kokuhō) by the Japanese government. The site of the Ise Jingu has long been sacred, due to its forests of sacred Japanese cypress trees. In the earliest times, these trees were worshipped in nature without any buildings. Later, a special tree was cut down and made into a post, around which a shrine building was constructed. The wooden post was believed to retain its sacredness during the process, and this post is still central to the Ise Jingu today. This is a morality film and it poses the question in terms of atmosphere, putting emphasis on nature conservation, which is an important component of action for a sustainable society. Dramatic flow and usage of Kitajima’s music in the film makes a natural path for viewers to raise your energy upward. New version of "SUKIYAKI" out now!!! This is a new interactive duet between the pop legend Kyu Sakamoto and his daughter (Yukiko) on the title song, "SUKIYAKI 21C", electronically created using his original vocal with a little bit of Asian Dub groove. This is another digital magic done by the production team, Osamu Kitajima and Chris Mancinelli. This new arrangement flows naturally with Sakamoto’s original vocal and his daughter Yukiko knows how to caress the melody for sure. The Early Years Collection !! The early years albums are available now at EQ online store. Go to our Listening Gallery to check them out and purchase your favorite OSAMU collections such as “BENZAITEN, “OSAMU”, “MASTERLESS SAMURAI”, “DRAGON KING” and so on. Check out our new Listening Gallery !! We are very proud to unveil our brand new Listening Gallery offers easy access to hear various samples of our music and leads you to our new store with enhanced, secured checkout capabilities. Dr. Osamu has contributed his performances to the blockbuster TV series " Battlestar Galactica ". The music of Battlestar Galactica was composed and produced by the brilliant composer Bear McCreary and it displays a wide variety of ethnic influences. Osamu says that Bear is one of the most promising young artists/composers of Hollywood film in the near future. Let us record your vocal ! Anybody could be a great singer !! We produce your pro-quality CD. Long-Awaited Debut Album for Jazz Fans !! 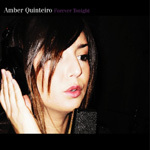 A new jazz singer Amber Quinteiro’s first album “ Forever Tonight ” produced by Dr. Osamu Kitajima & John Ryan will be available from November 21, 2007 through King Records in Japan. Critics said “ It is a shocking news for Jazz fans since Julie London or Helen Merrill.” In this digital era, it is rare that you hear sultry female vocal backed up by tasteful & soulful acoustic jazz combo. Recorded at East Quest Studio in Woodland Hills, California the cohesion of maestro bassists such as Brian Bromberg & Tim Emmons and legendary brush master Clayton Cameron, the young genius pianist Ken Rangkuty, and another young outstanding guitarist Nick Perez, plus Dr. Osamu on acoustic guitar provided Amber with one of the most enjoyable Jazz standards. The atmosphere Amber creates with her innocent but sassy voice and cute face gives you a heavenly, highly energetic performance in superb quality!! Major Label Release in Mainland China !! Eagerly-awaited album "After Sunset" by extraordinary newcomer guitarist Greg Suzuki has been released in Mainland China through the biggest major record company NMG Entertainment/Star Sing Records. Needless to say, the album was produced by Dr. Osamu Kitajima. Cynthia C. Basinet who sang " Tea for Two " produced by Dr. Osamu Kitajima honored with Nobel Prize. She is among this years Nobel Peace Prize nominees. Nominee Basinet, while best known as an actress and jazz artist - aka "c. basinet", hits like "Santa Baby" (also in the sound track of the film, "Party Monster") and "Tea for Two" has also been involved in drawing attention to the plight of some 200,000 refugees living in the western Sahara desert. could relate deeply to their plight. 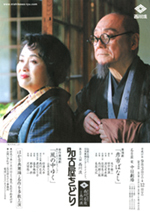 Dr. Kitajima has produced music for the annual Nagoya Odori performance this year and it was highly admired by critics. Nagoya odori is the long-running Japanese traditional Buyo dance performance since 1945, and its history goes back even to Edo period. Original Nishikawa style Kabuki choreographer starts it and continues to current master, Ukon Nishikawa for about 300 years now. A customary dance performance disappears one after another, Nagoya odori continues more than half a century, and it becomes the 58th times in current year. This years most highlight performance is "Kaze no naka yuku" which is produced by Osamu. You will enjoy the collaboration of Ukon's amazing buyo dance and guest performer Eriko Watanabe's powerful elocution. Also, Osamu's new idea of ambient dance beat and spiritual approach to string orchestra arrangement makes the very unique atmosphere to the stage.